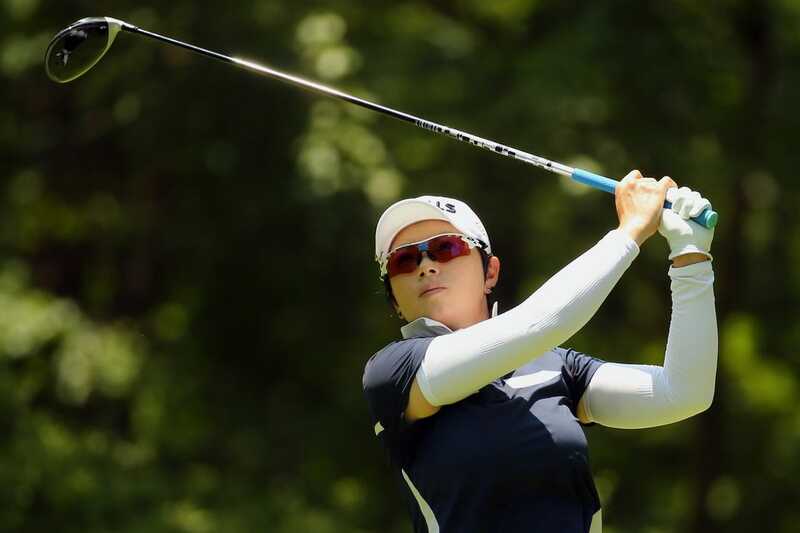 South Korea's Eun-Hee Ji captured her fifth career LPGA title on Sunday with a win at the Diamond Resorts Tournament of Champions at the Four Seasons Golf and Sports Club in Lake Buena Vista, Fla.
Ji, winner of the 2009 U.S. Women's Open, shot a 1-under-par 70 to finish at 14-under 270 and beat fellow countrywoman Mirim Lee by two shots (12-under 272). Lee, who started the day four shots behind Ji, fired a 3-under 68 to finish alone in second place. American Nelly Korda shot an even-par 71 to finish in third at 11-under 273. "Actually, I just enjoyed my game with my partner," said Ji, referring to the celebrity pro-am format for the elite 26-player field made up of LPGA winners from the past two seasons. "I enjoyed it with the celebrity and amateur. It makes it more fun and (I) relax more, so I didn't get any nervous," said the 32-year-old, who balanced out four bogeys with five birdies. "It's great. I love this tournament, and I'd love to come back here." The 2019 season marks Ji's 12th year on the LPGA Tour and the third consecutive season she's secured a victory. Following the 2009 Open, she went more than eight years and 203 LPGA events without a win until the 2017 Swinging Skirts LPGA Taiwan Championship. Rounding out the top five were Thailand's Moriya Jutanugarn (69) and China's Shanshan Feng (70), who tied for fourth place at 10-under 274. Canadian Brooke Henderson, who led the first two rounds, fired a final-round 75 to finish in a tie for sixth with American Stacey Lewis at 8-under 276. Current world No. 1 Ariya Jutanugarn, the reigning LPGA Player of the Year and Moriya's younger sister, carded her second straight 75 of the weekend on Sunday and finished tied for 18th place and even par for the tournament.